Pinoy Pride all the way! 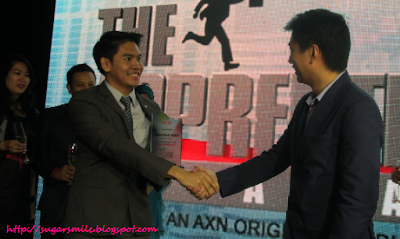 Tony Fernandes of Air Asia HIRED Jonathan Allen Yabut as the first Apprentice in AXN's Apprentice Asia this July 31. After 11 episodes, we have witnessed the tasks, challenges and the showdowns of the 12 contestants throughout the season. And last night, the final battle between the 27-year old Senior Product Manager Jonathan and Singaporean lawyer Andrea Loh at the charity fund-raiser made Mr. Fernandes decide on who deserved the said title. 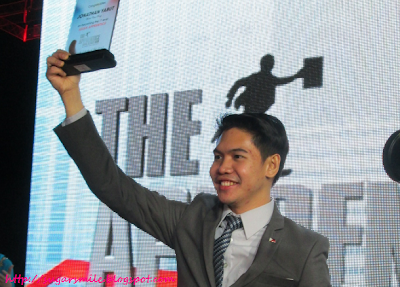 Jonathan Allen Yabut is an alumni of the University of the Philippines, majored in Economics. After 10 boardroom trials and outside tasks in terms of sales, negotiation, creativity, management, trading, marketing and the like, you can be sure that Jonathan now has experienced the best training he could ever have. “It has been a very humbling experience to compete against some of the region’s best brains in business. I treasure the opportunities I had to learn from my fellow contestants, as well as Mr. Tony Fernandes, and his advisors Mr. Mark Lankester and Ms. Kathleen Tan. Winning The Apprentice Asia is the perfect springboard to build a fulfilling career and I am excited to work for Mr. Fernandes. I thank AXN for the opportunity to be on The Apprentice Asia which has been the most thrilling experience of my life so far,” said Yabut. “I hope The Apprentice Asia will inspire the many aspiring young talents in our region to become Apprentices in their own right, to dream and to make it big,” he added. Truly, the Filipino people is proud of Jonathan. Fans cheered as the final viewing party happened with some of the contestants of the Apprentice Asia. We were all rooting for our "kababayan" and he really made it possible for most of us to dream, and dream big. The Apprentice Asia was shot in Singapore and Kuala Lumpur. This Asian adaptation of the U.S. reality series was helmed by reality TV guru, Mark Burnett (The Voice, Survivor) and FremantleMedia Asia, a leading global entertainment company. The Apprentice Asia’s 12 contestants hailed from Singapore, Malaysia, China, India, Indonesia, Thailand and the Philippines. They came from backgrounds as diverse as entertainment, food &; beverage, hospitality, information technology, law and finance. Contestants quit jobs, delayed weddings, and set their businesses aside to accommodate the one month-long production. 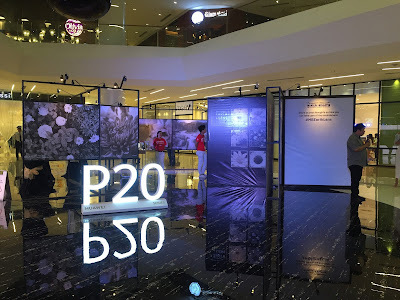 “Following four seasons of The Amazing Race Asia, as well as Cyril: Simply Magic and Cash Cab Asia, The Apprentice Asia represents AXN’s next milestone in creativity and innovation. The success of the series reaffirms AXN’s leadership in producing original content that audiences love,” said Hui Keng Ang, Senior Vice President, Business Operations, Networks, Asia, Sony Pictures Television. “On behalf of AXN Asia, we congratulate Jonathan for becoming Asia’s first Apprentice, and thank Tony, Mark and Kathleen for their unyielding commitment and dedication to the series. We also want to express our deepest gratitude to the sponsors of The Apprentice Asia for sharing our creative vision and passion to entertain and engage viewers,” he added. 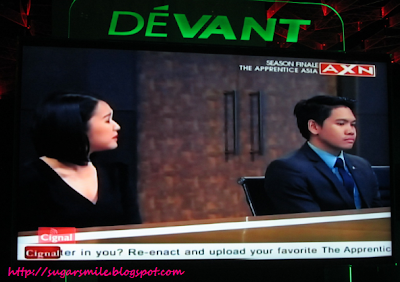 Check out more photos during the Apprentice Asia Final Viewing Party at my Facebook Page.